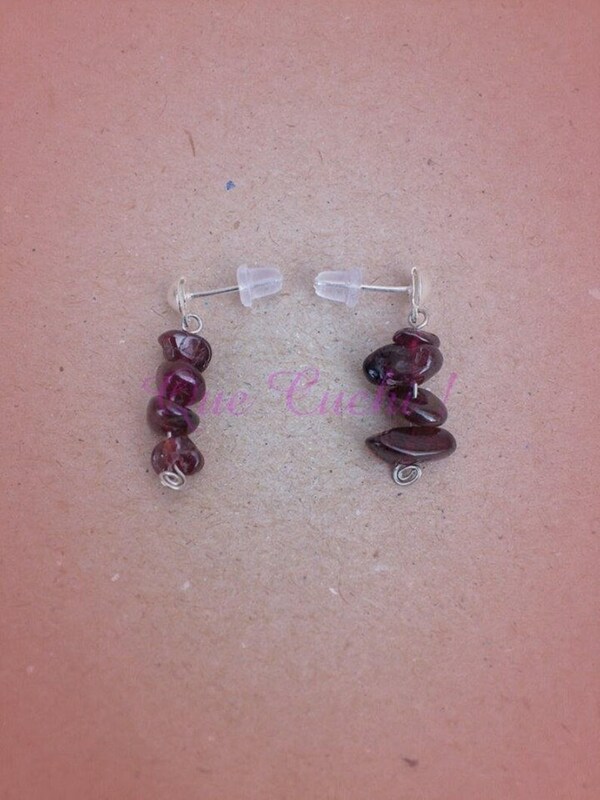 These earrings can be made with hooks pin, silver hooks or clips for non-pierced ears * ("If you want to change the hooks are in the picture tell me exactly what you want in the section") (contact seller"at time of purchase). * You want silver ear wires. they are for sale in my shop for "A little sewing notions" "as-cuchi", when you order the earrings also buy the pair of sterling silver hooks and add it to the earrings (tell me in "contact the seller"). 125 pink opal stone chips. Very cutesy and stimulating to wear. Health improving stone! :) Merci!